Ernesto Aguilar wrote about how public media isn’t all that when it comes to podcasting, because they’re just re-purposing content that is already on-air. He wants public media to include more independent producers and thinkers and use podcasting to innovate. It’s a totally valid point of view, and innovation in audio production and storytelling is always welcomed by me. I too think that radio stations should do more than just re-purpose on air programming for podcasting. I too think that each distribution platform deserves it’s own relevant content. But I look at this story through a different lens. It’s not a problem, nor is it NPR’s “fault” that whay they produce for broadcast is also really well suited for on-demand consumption later. Public radio is in a better position to capitalize on podcasting than commercial radio stations seem to be. I think commercial radio still has a LOT to learn from public radio and the way they produce programs. Want to talk about breaking old habits, and coming up with a fresh sound? NPR and All Things Considered debuted in 1971 and Morning Edition in 1979. Compare that to CBS Radio starting in 1927. The type of storytelling and programming that comes from public radio is in a far better position to be relevant in an on-demand world than the programming coming from commercial radio. I actually wrote that “public radio has it figured out” in a previous post. Looking back at that post I put in a flip comment about not having the financial part figured out, but I might have that wrong. But the lost opportunity in podcasting for broadcast radio — commercial and public — may be the inability to create fresh programming that isn’t already on the air; on-demand content that sounds different from the norm, and that connects with audiences who may not be enamored with or who aren’t spending much time listening to broadcast radio. Can the traditional public media do a better job at creating fresh content? Sure. Can commercial radio do a better job at creating fresh content? Yes. It should all be music to the ears of Third Coast attendees.When it comes to podcasting, is public radio far ahead of commercial radio? 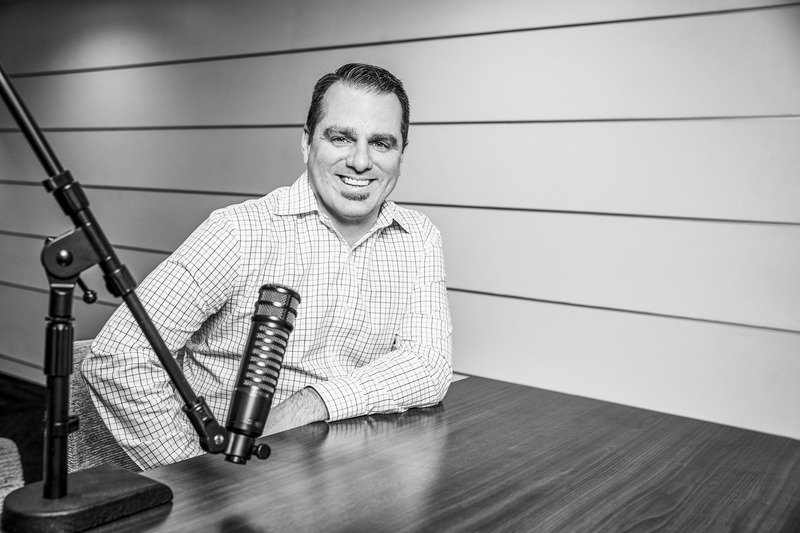 I would say yes.Should podcasting be used for innovation or content recycling? The answer is both of course.By the way, on the CBS play.it podcast site when you filter down to Play.It originals, I get 60 Minutes and 48 Hours in the top of the results. 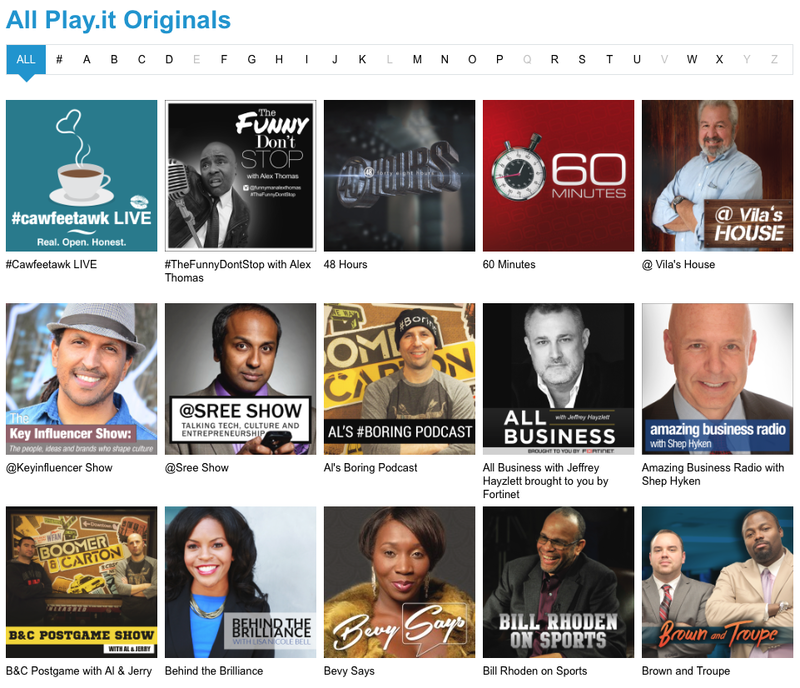 Are those podcast originals?I should add a note of transparency here: I’ve never listened to #cawfeetawk LIVE, or @sree show or any of the podcasts here. Maybe those are actually original and good? Let me know.